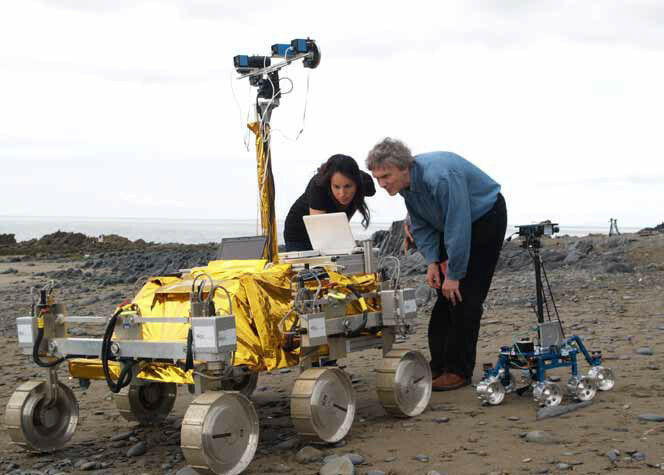 PRoVisG (short for “Planetary Robotics Vision Ground Processing”) is a Collaborative Project in the frame of FP7-SPACE -2007-1 that was carried out from October 2008 to June 2012 (45 months total duration). The EC FP7-SPACE Project PRoVisG brought together major EU and US research institutions and stakeholders involved in space robotic vision and navigation to develop a unified approach to robotic vision ground processing. What does PRoVisG want to achieve ? The aim of PRoVisG is to build a unified European framework for Robotic Vision Ground Processing. State-of-the-art computer vision technology was collected inside and outside Europe to better exploit the image data gathered during future robotic space missions to the Moon and the Planets, leading to a significant enhancement of the scientific, technologic and educational outcome of such missions. Why is PRoVisG important for Europe? At present, mainly the US have realized planetary space missions with essential robotics background. Europe needs to catch up with leading-edge technology and science. By joining institutions, companies and universities from different established groups in Europe and two relevant players from US, PRoVisG demonstrates the European ability to realize high-level processing of robotic vision image products from the surface of planetary bodies. That way Europe gains independence and reputation as competitive partner for international research and exploration missions to the Planets. How does PRoVisG benefit European citizens? PRoVisG addresses the public by means of a final robotic field test in representative terrain. The European tax payer is able to monitor the imaging and vision processing in a Mars-like environment, thus getting insight into the complexity and methods of image processing, the potential and decision making of scientific exploitation of such data and the elegancy and beauty of the resulting image products and their visualization. The educational aspect is addressed by means of a summer school project, presenting robotic vision to students who are future providers of European science and technology, inside and outside the space domain.